An unusual pair of hangers playfully shaped after antlers. The hanger named Hubertus was conceived and designed by the famous designer Philippe Mambretti for Mogg, a renowned company that manufactures and sells original and sophisticated home décor accessories. Hubertus is made from a solid panel that hang from the wall or just lean against it, with a maximum inclination of 5°. This panel is equipped with a bracket for safe wall fitting. 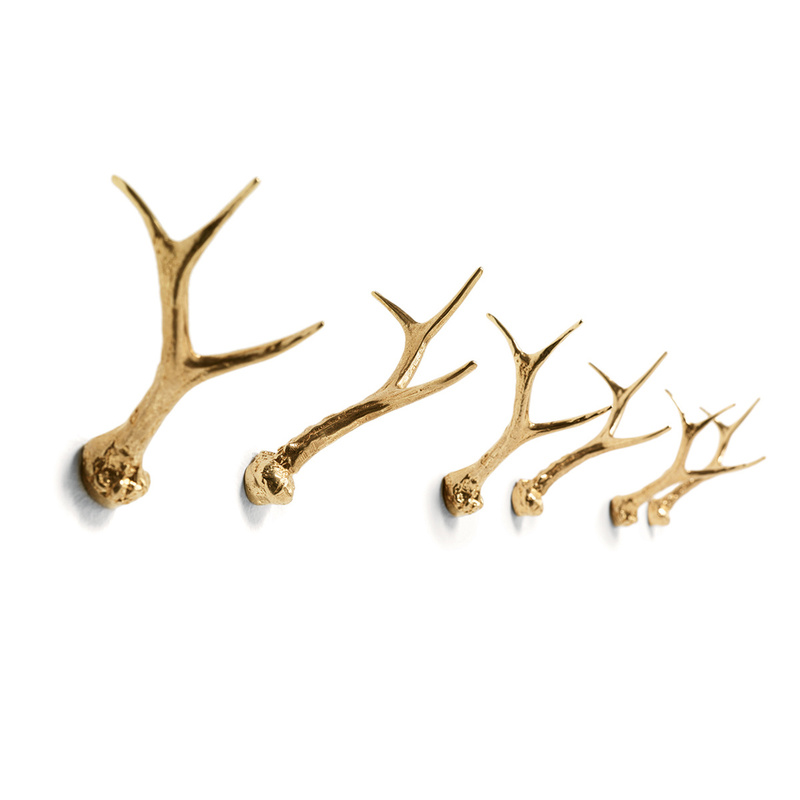 the peculiarity of this hallway panel is that it comes with a unique pair of hangers made of brass wih a satinised, polished finish that recalls the shape of antlers. In fact, according to the designer of these furnishing accessories, in a modern and original home objects shouldn't be linked to the sole function, but can also represent an unreal dream, a particular aesthetic shape that has no practicality, while Hubertus is also practical and functional. This attractive set of hangers will definitely attract the attention of all the guests who come to your house for the first time. The style of Hubertus perfectly embodies the spirit of a cultured, contemporary design that is also understandable for everyone, as well as being aesthetically appealing and functionally practical. 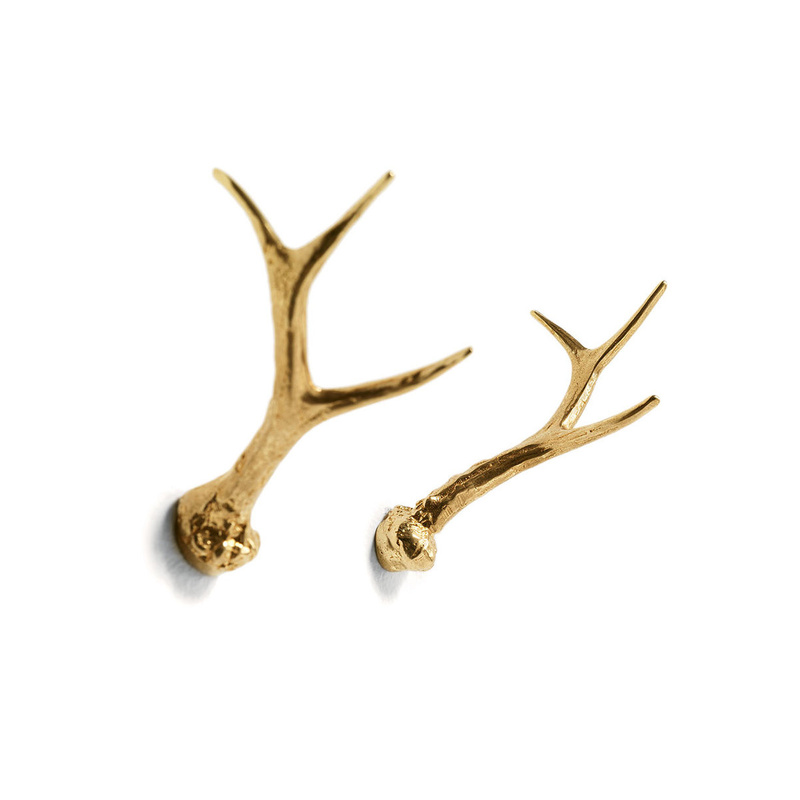 Moreover antlers, primarily as hunting trophies, have always been widely used in interior decoration and are usually associated with the traditional style of Alpine huts and chalets. Designed by Italian company Mogg, Hubertus offers a contemporary version of the same antlers - an original hanger solution in polished brass, a perfect blend between a sculpture, a simple coat and even a mirror. In short, this is a beautiful piece of wood decorated with a trophy theme and used as an unusual coat. Filippo Mambretti graduated in "Design for furniture" and in "Furniture design" at the Industrial Design faculty at Politecnico in Milan. He started his professional activity at the Studio Italo Rota, he worked with the designer Francesco Murano, with the MayDayDesign studio, with the communication agency MakiStyle and the SpheraDesign studio. 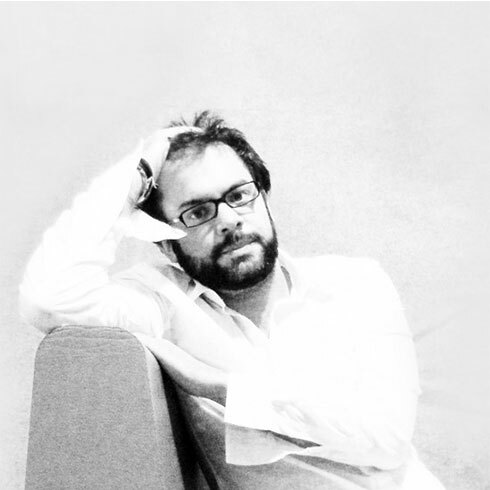 In 2012 he founded the Mambrò Design Studio and worked for companies in the area of bathroom furniture, contract, outdoor design and vases.